Scientists have found a cometary building block in an unexpected place: deep inside a meteorite, according to a new paper. The researchers reported finding a 0.1 millimeter, carbon-rich rock fragment inside of a meteorite. They interpreted it as a piece of a comet captured during the earliest ages of the Solar System when the planets were still forming, and later brought to the Earth. We simply don’t have a lot of comet samples here on Earth to study, which makes this potential discovery very exciting. The fragment “may be characteristic of cometary materials that are not represented in meteorite collections because they are too fragile to survive atmospheric entry,” according to the paper published today in Nature Astronomy. Let’s first define a few things: A meteorite is a rock from space that’s already landed on the surface of Earth. It could be part of an asteroid, rocky bodies thought to originate from leftover matter in the Solar System that didn’t form into planets, or part of a comet, which are similar to asteroids but contain volatile elements that heat into an atmosphere (called a coma) and a tail under the influence of the Sun. These are clunky terms, but they get at what astronomers are interested in more generally—how the Solar System formed, and how the different objects we see today can retell that story. The researchers analyzed a meteorite from Antarctica called LAP 02342, which is interesting because it’s been minimally weathered or eroded during its time on Earth. 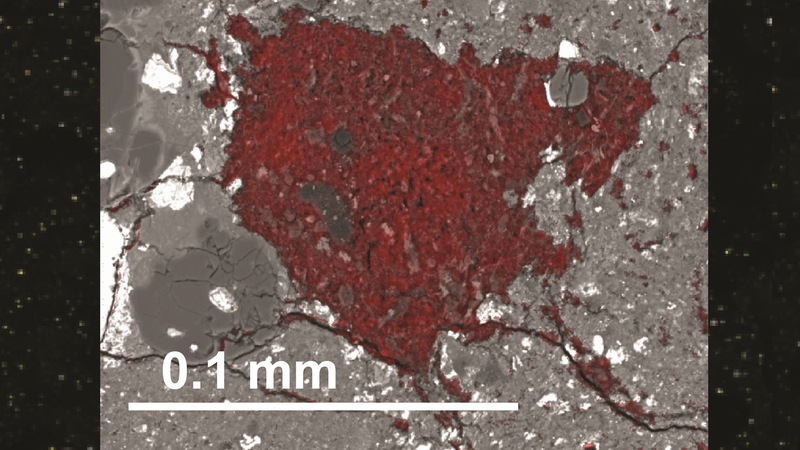 They analyzed it with an electron microscope, revealing the tiny carbon-rich section that differed from the rest of the otherwise typical meteorite. 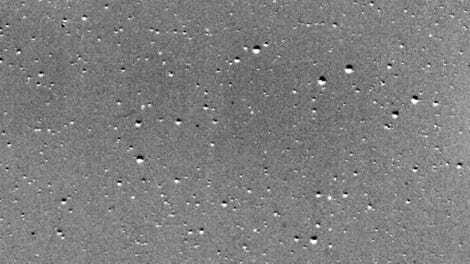 Its composition matched other interplanetary dust particles astronomers have previously argued come from comets. Humans weren’t around to watch this meteorite form, so we can’t determine an exact origin of the fragment. But the researchers have some ideas; maybe it was the earliest stage of a comet, forming from material in the outermost region of the Solar System, the icy Kuiper Belt. But the comet’s formation was somehow stopped, and this piece was snatched up by an asteroid, which moved inward towards the Sun and eventually struck the Earth.